Each summer, devoted APA supporters put their heads together to test themselves on headscratchers and brain busters. A night filled with entertainment and budding friendships, Trivia PURRsuit is a great opportunity to gather together and make a powerful impact on the APA’s mission. You are invited to enjoy this night full of wonderful, hilarious and entertaining surprises around every corner. The evening will include 8 rounds of fun factoids and confounding questions, a silent auction with something for everyone and much more. Tickets include beer, wine and soda, and you can BYOB if you would prefer another beverage. 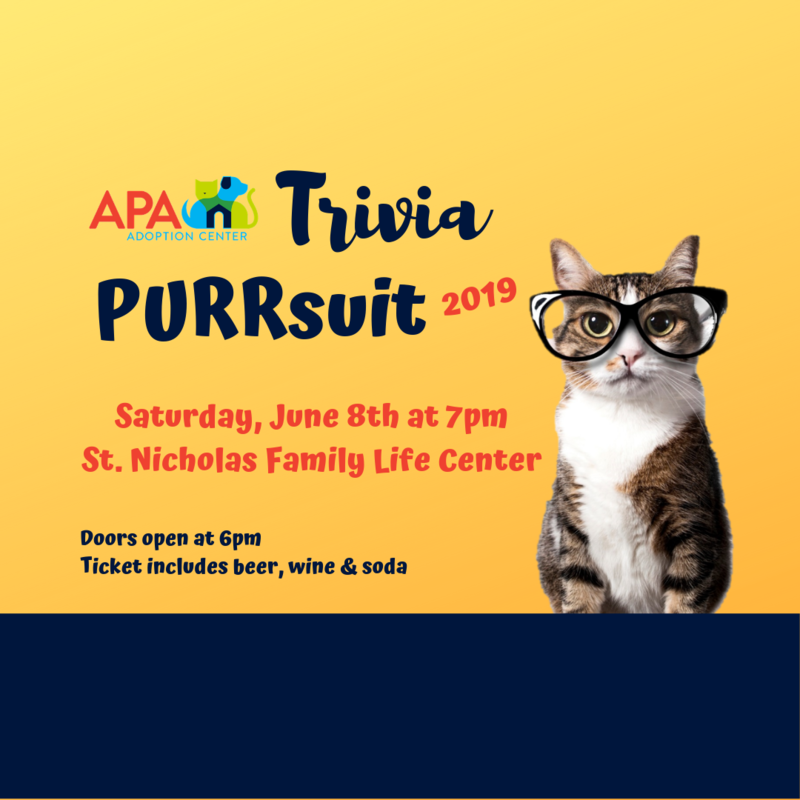 Proceeds from Trivia PURRsuit directly support the APA’s mission of bringing people and pets together, advancing humane education and creating programs beneficial to the human/animal bond.